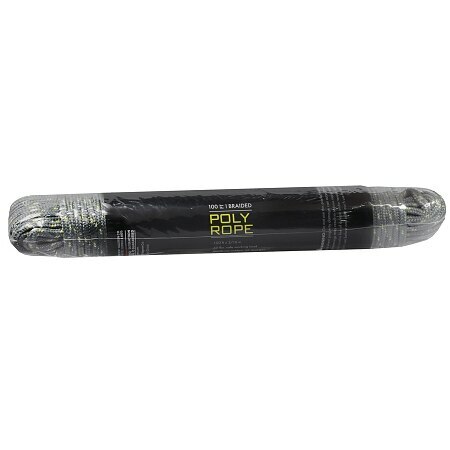 Living Solutions Braided Poly Rope1200.0 in. Do not use this product in overhead lifting where personal safety is at risk or where property damage can occur. Do not exceed load limit (40 lbs.). Disregarding these warnings may result in serious injury. Knots reduce the breaking strength of rope. Never stand in line of a rope under tension. Rope can snap and cause serious injury. Inspect rope before and after each use for wear and tear. Discard rope if it shows damage..